Art deco is characterized as a style of precise shapes and strong colors, and this ring set is a perfect example. Apples of Gold presents two white gold bands that are styled with precisely crafted scrollwork. Each band is edged with a thin milgrain line to offset the swirling design. 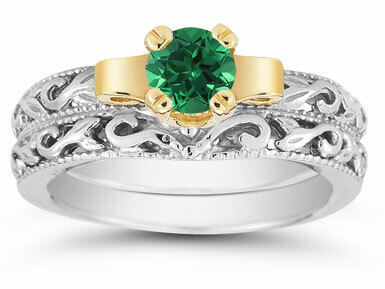 The bold coloring takes shape with the yellow gold mounting for a brilliant emerald stone. Rich green, warm yellow, and bright white gold make this ring set the definition of art deco. 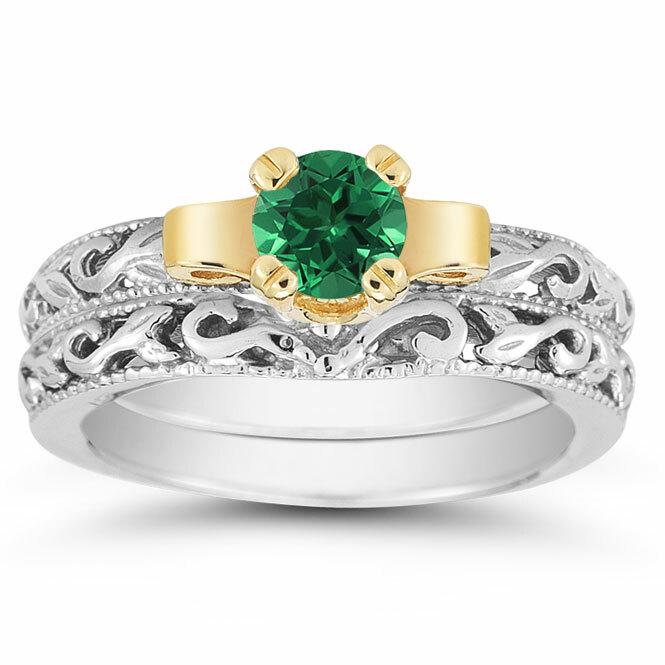 We guarantee our 1/2 Carat Art Deco Emerald Bridal Ring Set to be high quality, authentic jewelry, as described above.